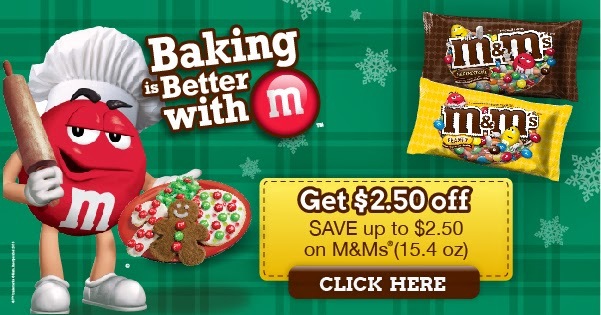 Baking & Saving with M&M's! There are so many tasty recipes that can be made with M&M's and there is no greater time for baking cookies than on a cold, snowy night like I am having tonight! The M&M's are warm and gooey and just melt in my mouth and add that extra special touch to any baked goods! Make sure to use this great high value coupon and get baking this winter!